Upsets on the biggest sports stages can shake the entire world. With the way the NBA Playoffs’s conference finals are going so far, everything from the wallet of a gambler hoping to cash in on a far-fetched championship season to the local economy of any city represented in the two series could be affected. Some of us love the rush of an underdog reaching new heights (especially if we don’t have a stake in the contest), but if you’re a fan of the Golden State Warriors and/or Cleveland Cavaliers right now, things could be better. Both of the favorites to reach the NBA Finals and rekindle their battle from a summer ago find themselves in a serious fight in their respective conference finals series. The Cavs lead 3-2 over the Toronto Raptors out East — and were completely dominant in Game 5 — but Toronto is still providing more of a challenge than the Cavs planned for. The circumstances for the Dubs are much more dire, as the consensus best team in the league is on the brink of elimination — facing a 3-2 deficit in the Western Conference Finals against the Oklahoma City Thunder. Each team may advance (especially the Cavs), but the smell of an upset is very much in the air. With how heavily favored each team was prior to the conference finals, these two series could be some of the biggest upsets in the history of NBA Playoffs conference finals. Speaking of that, we have the biggest upsets in conference finals lore, according to Sports-Reference.com’s Simple Rating System (SRS), which is used to rate the strength of a team based on point-differential and schedule difficulty. Coming off an NBA Playoffs championship in 1970 — the first in their history — the New York Knicks were looking for more in 1971. With a strong roster led by the likes of Walt Frazier, New York had every reason to be confident heading into the Eastern Conference Finals against the underdog Baltimore Bullets. Despite getting out to a 2-0 series lead, though, the Knicks allowed Earl Monroe and company to pull off one of the bigger upsets in playoff history. In fact, the SRS shows that the Bullets were just 0.913 points better than the average NBA team in 1971. The Knicks, on the other hand, were 5.049 points better (meaning they were 4.136 points better than the Bullets). The Bullets lost in the NBA Finals to the Milwaukee Bucks that year while the Knicks recovered to capture another title in 1973. This one doesn’t sound like much of an upset, right? 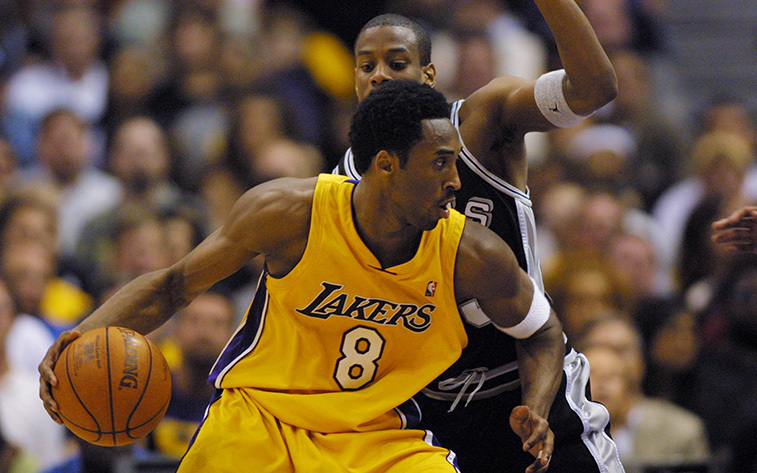 The Lakers were coming off a championship the previous season and had the duo of Kobe Bryant and Shaquille O’Neal leading the way, but by SRS standards, the Spurs were the far superior team entering the 2001 NBA Playoffs. According to SRS, the Spurs were nearly eight points better than the average team during the regular season, while the Lakers were closer to 3.5 points better. This is one case where the metric might be deceiving; at least the result of the series made it seem that way. LA cruised to a series sweep in this conference finals showdown, as they went on to win their second of three straight NBA titles. The Spurs have since recovered, to say the least. For the first 12 years of their existence, the Lakers franchise was based in Minneapolis. During that stretch, they won multiple league titles, setting them up for success in Los Angeles. In 1959, they weren’t expected to get past the St. Louis Hawks (now based in Atlanta) in the Western Division Finals, as the Lakers won 16 fewer games that season than the Hawks and were under .500 for the year. 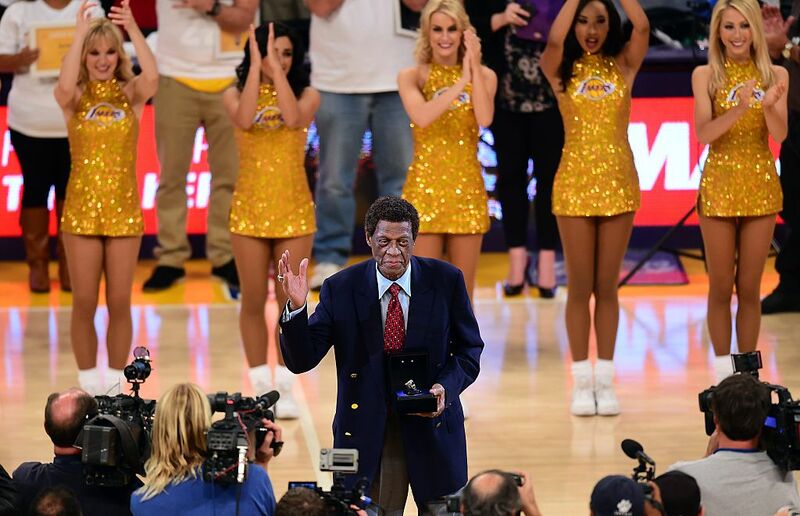 However, the great Elgin Baylor led them to the upset in six games. The Lakers actually had a negative SRS that season, but overcame the odds to reach the Finals, where they lost to the Boston Celtics (something that happened a few more times during the ’60s). Entering the 1986 season, the Los Angeles Lakers had appeared in four straight NBA Finals, winning twice. The ’86 team was as loaded as ever; Magic Johnson, Kareem Abdul-Jabbar, James Worthy, and other NBA greats all called Los Angeles home. 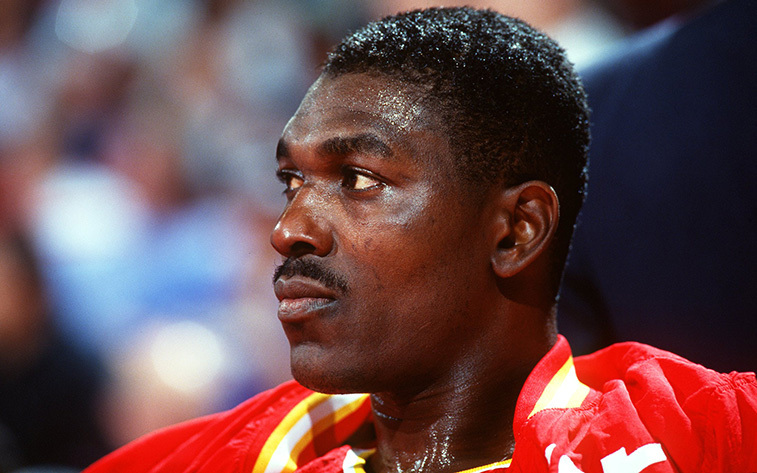 Facing off against a Houston Rockets team that was led by a young star in Hakeem Olajuwon in the Western Conference Finals, there was no way they would lose — until they did. With an SRS rating that was 4.735 points better than the Rockets, the Lakers lost the series in five games, with Olajuwon proving to be too much to handle throughout the series. Houston went on to lose to the Celtics in the NBA Finals and the Lakers won another title in ’87, but this was still one of the biggest upsets in NBA history. If the Warriors lose in the conference finals this season, it won’t be the only time the franchise has experienced a stunning upset with a trip to the Finals on the line. Back in the mid-’70s, Golden State had a terrific team that included Rick Barry and Jamaal Wilkes. The Dubs captured their first title in 1975 and hoped to repeat in ’76. They might have done so if the upset-minded Phoenix Suns hadn’t gotten in their way in the Western Conference Finals. The Suns were down 3-2 entering Game 6 before winning the final two to advance to the Finals — behind the likes of Paul Westphal. The Warriors’ SRS rating was more than 5.5 points better than that of the Suns, making this a huge upset. Phoenix lost to Boston in the Finals and Golden State wouldn’t reach another conference finals for nearly 40 years (a drought they ended last season).